Main characteristic/s: Primocane, excellent quality fruit. 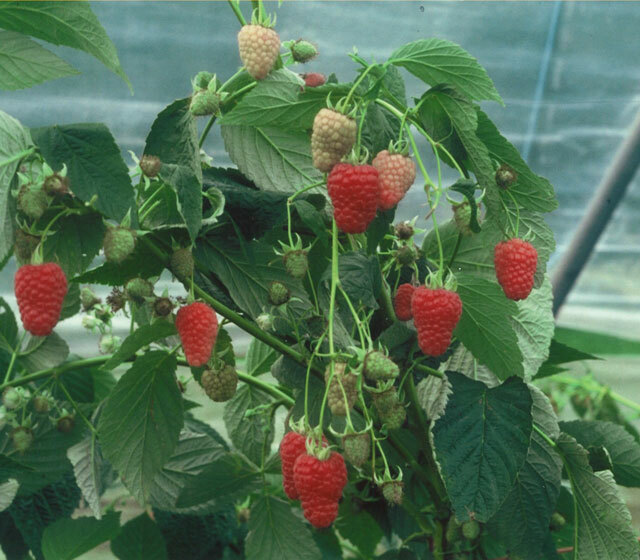 In Southern England the primocane crop starts in late-July and continues until late October. 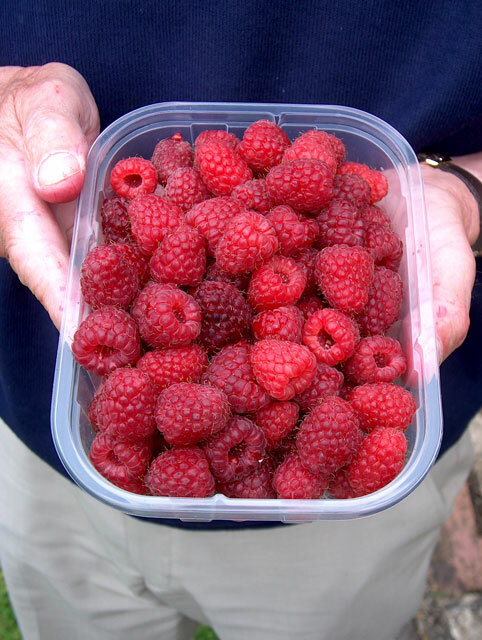 A useful ‘double’ crop can also be obtained in June from over-wintered canes. The fruit typically average 5g and hold their size well throughout the season. 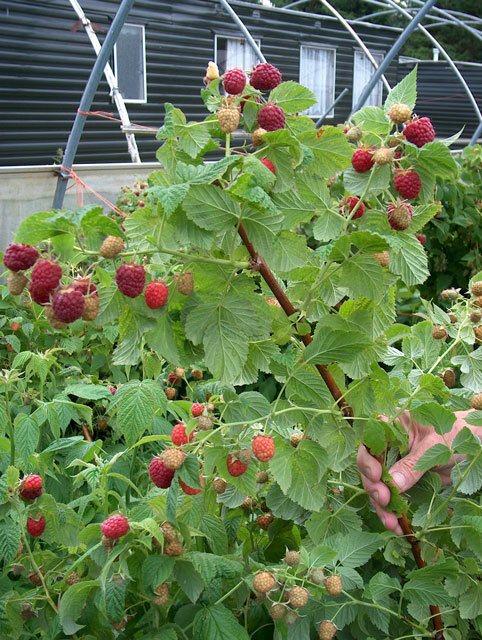 The berries are well formed, long conic in shape, with a firm, meaty and cohesive texture. Their colour is a medium red which may darken when the fruits are over ripe. 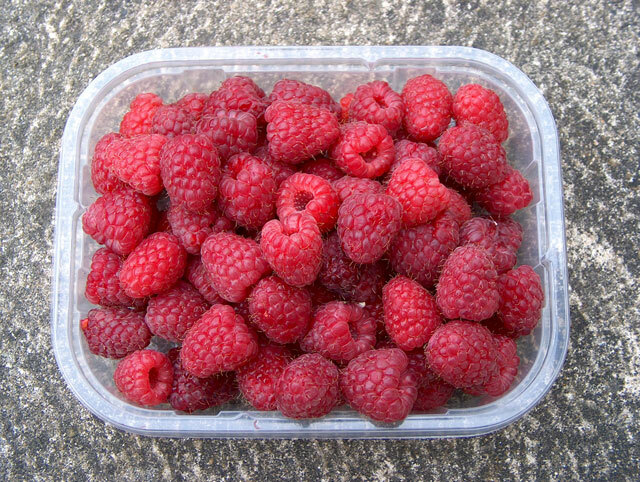 Berries have a sweet flavour and shelf-life is excellent. High yields of approximately 1.5kg per plant have been reported. The erect, spine-free plants are very easy to manage. No serious pest and disease problems have been reported. 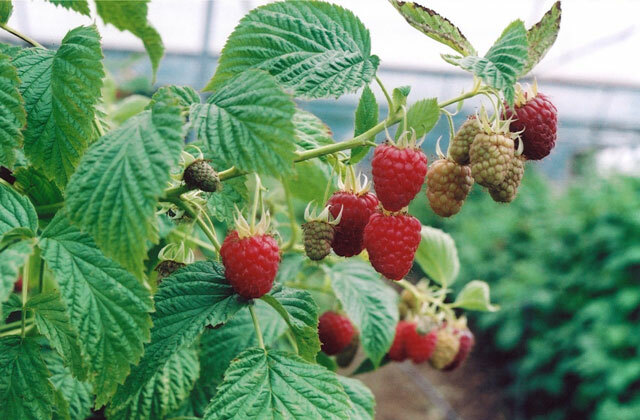 Red Angel is well suited for late-summer and autumn production in open-field situations of temperate regions, for both commercial and amateur markets.